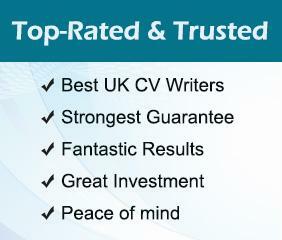 Complement your top quality CV with your own professionally written 100% original targeted or speculative cover letter. If you need two cover letters (perhaps a speculative and targeted, or if you are applying for two different jobs) then benefit from yet more savings by ordering both at the same time. The most effective CVs are targeted. If you have different strings to your bow and want to target different jobs then rather than do this with one generic CV we can create two separately targeted and professionally optimised CVs for you. Order both at the same time now for the greatest savings. Our reputation is such that we always have a waiting list, but for those clients with pressing deadlines we can prioritise your CV for a small fee. Please note this is not an "express" service. With our priority service CV quality is still paramount, and we will not cut corners - you just go to the front of the queue. Typically we deliver priority orders within 5-7 working days, but if you need your CV sooner just let us know your deadline when you order. Your consultant can make notes for you explaining things and advising you on the advantages of particular changes. This document should be of use to you when you are tweaking your CV yourself, or making other job applications further down the line. By default we will put your CV in our highly popular tried and tested format. You almost certainly will not want to change this, but in the highly unlikely event that you do, we can also give you a variety of CV templates free of charge. Please note, these discounts are only available when ordering at the same time as your CV today. If you order separately you will be charged the full price.